petition: Tell Scotland to Prioritize Ban on Wild Animals in Circuses! Tell Scotland to Prioritize Ban on Wild Animals in Circuses! The Scottish government expected to decide on a proposed ban on wild animals in traveling circuses by December, but recently admitted they're unlikely to make a decision until next year. A ban on traveling circuses in Scotland could pave the way for similar bans elsewhere in the United Kingdom. Currently, two circuses that use wild animals -- Peter Jolly’s and Circus Mondao -- travel throughout the UK. Three recent inspections of both circuses found severe animal welfare violations, including holding animals without water, neglecting to offer bathing pools for tigers, and neglecting veterinary care for a camel with a recurring wound and a reindeer with a severe itching condition. A spokesman for the Scottish government said, “We take the welfare of animals, including circus animals, very seriously." If this is true, they need to prioritize banning wild animals in traveling circuses to end the cycle of abuse and neglect toward animal performers. Please sign the petition to urge Scotland to ban wild animals in traveling circuses by the end of 2014! We, the undersigned, are concerned with the Scottish government's delay on making a decision to ban wild animals in traveling circuses. We understand the original estimate was for December, but you now believe you won't make a decision until next year. We believe that a ban on traveling circuses in Scotland could pave the way for similar bans elsewhere in the United Kingdom. Currently, two circuses that use wild animals -- Peter Jolly’s and Circus Mondao -- travel throughout the UK. 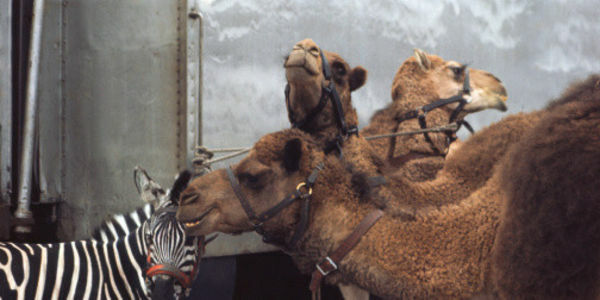 As you may know, the three most recent inspections of both circuses found severe animal welfare violations, including holding animals without water, neglecting to offer bathing pools for tigers, and neglecting veterinary care for a camel with a recurring wound and a reindeer with a severe itching condition. A spokesman for the Scottish government said, “We take the welfare of animals, including circus animals, very seriously." If this is true, you need to prioritize banning wild animals in traveling circuses to end the cycle of abuse and neglect toward animal performers. We respectfully urge you to ban wild animals in traveling circuses by the end of 2014. Thank you for taking the time to read and consider our petition.